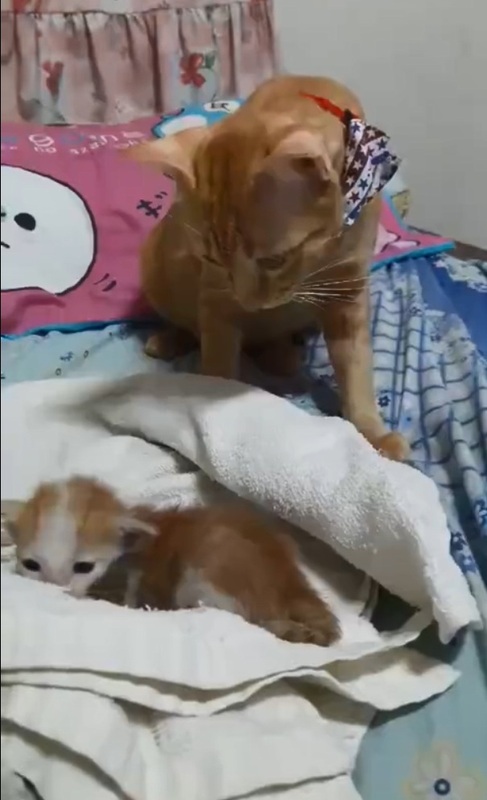 Male cats are not known for their parenting skills, unlike female cats who are always in charge of taking care of newborn kittens. 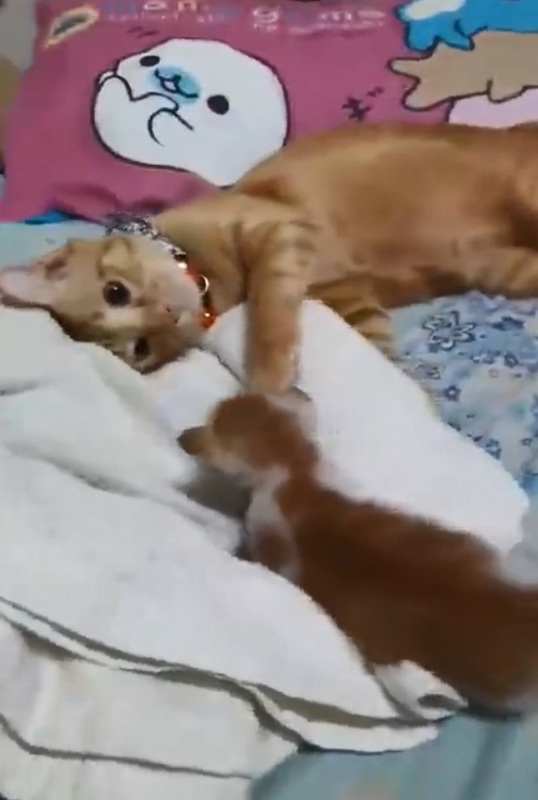 However, this male cat tries to break down the stereotype and it looks like he has finally got a chance to prove how great he can be at being a parent to his cute kitten when the mother cat is taking a day off motherhood. 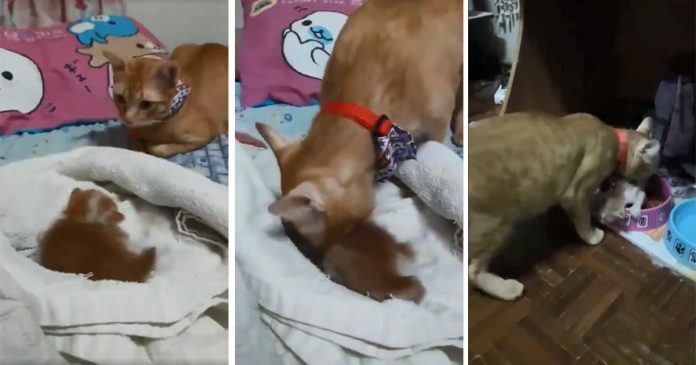 This father cat might not have the best parenting skills but he tries his best to take care of his kitten including feeding it well. 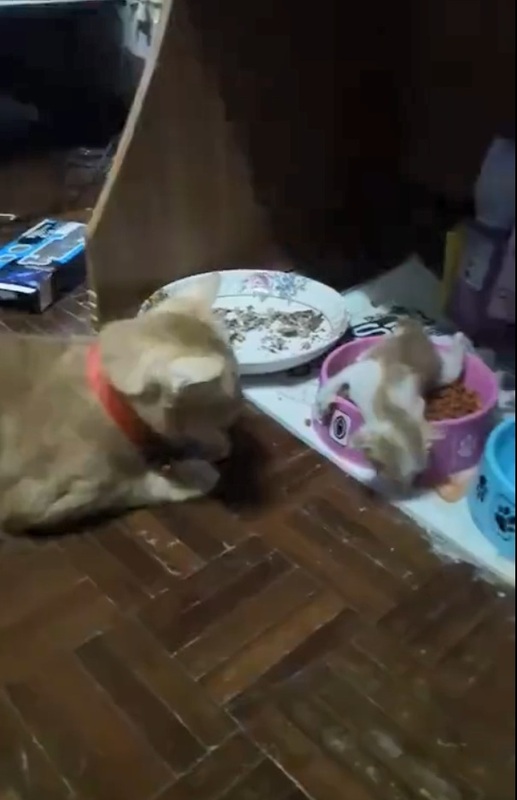 It is dinner time but unfortunately, the feeding bowl is quite far away! 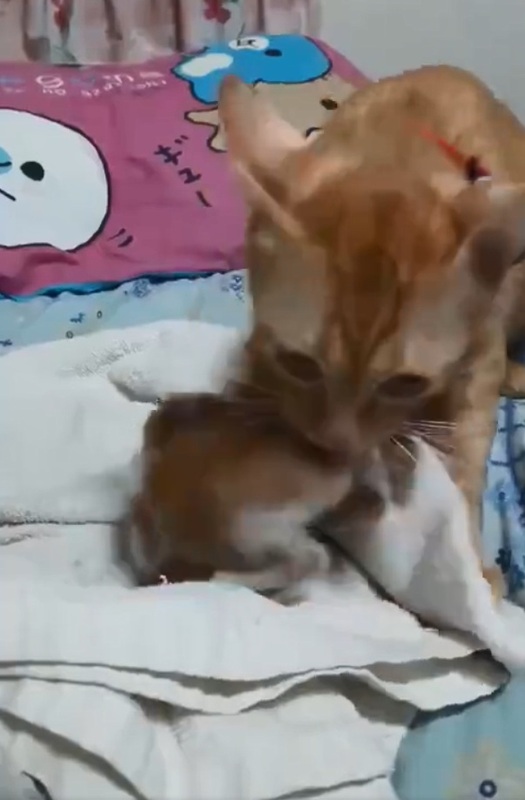 So, the father cat tries to imitate what he has seen the mother cat been doing effortlessly—picking up the kitten by its scruff. 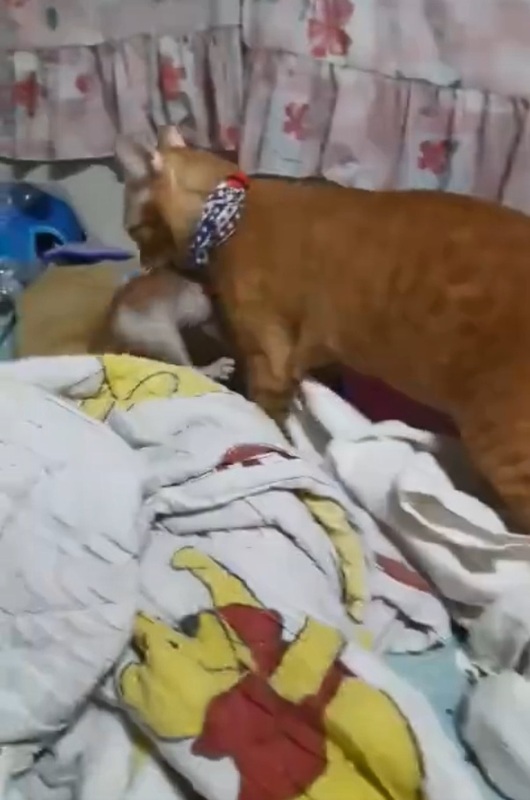 It should be easy, isn’t it? 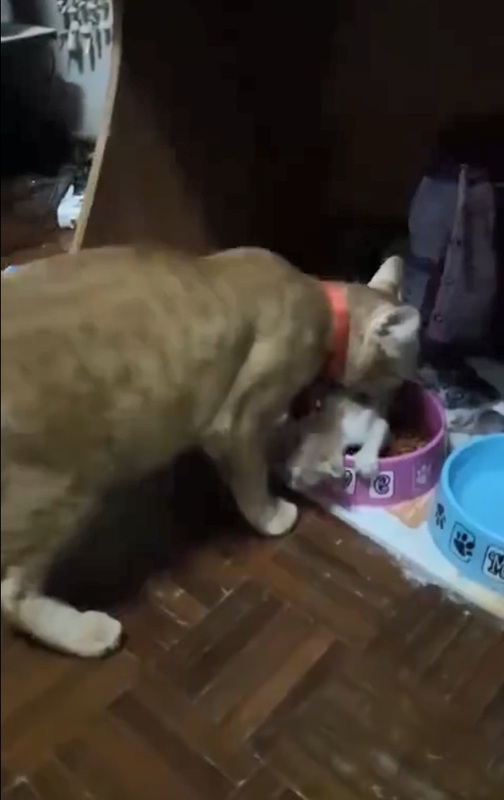 The father cat is finally able to bring his kitten to the feeding bowl and feed it!